Azerbaijan President Ilham Aliyev stated at the opening ceremony of the Ganja Airport that Azerbaijan is the center of the region from an economic and political aspect, Trend reports. A landing strip 3,300 meters long was built at the new Ganja airport. Furthermore, a new road connecting the airport to the Ganja-Gazakh automobile highway has also been built. The new airport, at a cost of $40 mln, meets international standards and is capable of accommodating large aircraft. He also commented on the development of all sectors, including education, health and construction. We allocate funds and advise on the development of region. If the directives are not implemented and no initiative is demonstrated, of course, there will be no progress. In the case of Ganja we have witnessed the realization of the project and a demonstration of State care, Aliyev emphasized. The Head of State noted that the new airport holds a great importance for the region. He also talked about the construction of the Ganja-Gazakh road and the infrastructure facilities. The Azerbaijani economy is developing rapidly, salaries and pensions are increasing, construction of schools and health facilities are underway, the President said. The accommodation construction in Baku in progressing at such a high speed that we are attempting to curb it. 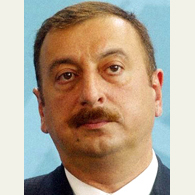 31 October observes the 3rd year of Inauguration on of Azerbaijani President Ilham Aliyev. The President noted that over the past 3 years he has fulfilled his promises. All work has been directed to consolidate Azerbaijan and to improve the welfare of the Nation. I will continue working for the prosperity of my Motherland, the President commented.